Nyati Travel was at Indaba in Durban. 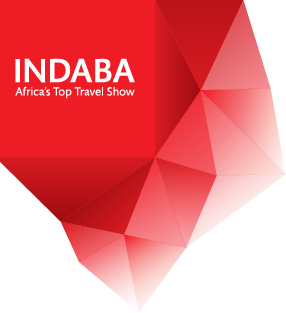 We were at Indaba Durban, one of the biggest Travel Shows in Africa running from 9 to 11 May 2015. We saw many operators, not once we were asked “Is it safe?” In stead we were told that operators overseas felt it is time to have Zimbabwe included in the itineraries again. https://nyati-travel.com/wp-content/uploads/2015/04/INDABA.png 313 286 Andre https://nyati-travel.com/wp-content/uploads/2018/03/nyati-wide-logo-300x68.png Andre2015-04-13 10:30:142015-05-14 14:46:54Nyati Travel was at Indaba in Durban. Once Again it’s HIFA Time! Nyati Travel sponsors this great event by transporting artists in time for their shows! https://nyati-travel.com/wp-content/uploads/2015/04/Hifa_articulate.gif 302 986 Andre https://nyati-travel.com/wp-content/uploads/2018/03/nyati-wide-logo-300x68.png Andre2015-04-13 09:35:192015-05-05 08:23:38Once Again it's HIFA Time! Latest news: Free walking MAY be banned in Mana Pools national park! National parks also has various campsites of which the biggest is The Nyamepi Camp located along the Zambezi River, situated near the Mana Pools National Park reception office. Visitors need to bring their own camping equipment, bedding, toiletries, cooking implements, etc. There are ablution blocks nearby with hot and cold running water, flush toilets and laundry basins. The facilities are very basic. Visitors can buy firewood at the reception office, and each campsite has a barbeque area. This camping ground has 30 sites. There are a number of exclusive campsites situated along the Zambezi River. These camps are for the visitor who seeks solitude and who wants to truly experience the wildness and challenges of the bush. There is a barbeque stand at each site and rudimentary toilet. Water is collected from the river or the reception office. Visitors to these sites need to be fully self-equipped and be able to handle the remoteness and solitude of these unique camps. The camps are only allowed 2 vehicles and 12 persons per stay. Water may be drawn from the river. In the Mana Pools area there are various private high quality lodges and some operators offer mobile tented camps also of very high quality. Various companies offer canoe trips along the Zambezi, including the popular stretches Chirundu – Mana Pools and the so-called Mana Pools Shoreline. Mana Pools is 4 x 4 area. The access road to Nyamepi camp, from the entrance gate, along the road Makuti – Chirundu, can be rough. You definitely need a car with a high clearance, and indeed, a vehicle able to handle corrugated roads. This distance is about 80 km, and takes at least 2 hours. Charter companies fly from anywhere into the airstrip of Mana Pools, from where clients are collected by the private lodges. A convenient option which has a price tag attached to it! Some private lodges provide access to Mana Pools by speed boat from Chirundu.